short girl, long island. : Laughing With Broken Eyes. 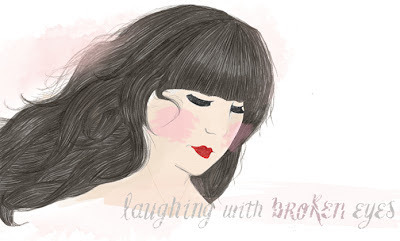 This afternoon, I was featured over at Laughing With Broken Eyes for the You Are Perfection series, which ran for the week. I submitted two pieces - one on friendships + blogging, + another about blogging + bodies. Head over to Amber's blog + check out what I had to say. I read both of them and oh my god, BRILLIANT! especially the blogging+bodies post. Proud of you!